Rose Apodaca is a fashion and cultural writer, curator, editor and consultant. She is the former West Coast bureau chief of Women’s Wear Daily and contributor to W, a founding editor of The Los Angeles Times “Image” section, and a continuing contributor to Harper’s Bazaar, style.com, Paper and other publications. 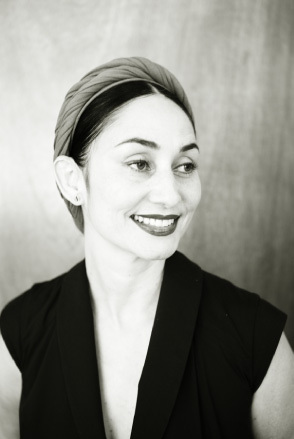 She curated the fashion category of the 2010 California Design Biennial, and is active in museum outreach with the city’s fashion industry. Her first book, Style A to Zoe: The Art of Fashion, Beauty, & Everything Glamour, conceived and written for celebrity stylist Rachel Zoe, was a New York Times bestseller and now appears in several languages. On tap next is a beauty book with neo-burlesque icon Dita Von Teese for Harper Collins. Ms. Apodaca lives in Los Angeles’ Silver Lake neighborhood with her husband and daughter, where they operate their modern global design lab A+R.